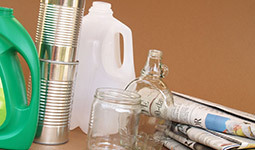 The EnviroSort plant receives, sorts and despatches all the clean recyclables collected from households across Worcestershire and Herefordshire, that is, all the cans, glass and plastic bottles, paper and light card put out for kerbside collection. 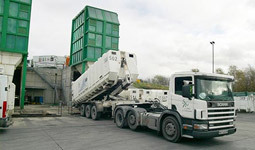 Granted planning permission in 2007 and a Permit from the Environment Agency in September 2009, the plant has been operational since November 2009. It has a capacity to receive and sort up to 105,000 tonnes per year in the 7,000 sq.m. building. A liaison group, established to keep the local community engaged and informed on the progress of this development, continues to meet.